Samsung Galaxy A8S will 6.39-inch most different Infiniti 'O' display, Specifications - mobilereview.online - The Ultimate resource for mobile phones reviews, specification, information. Samsung is working on its new smartphone Galaxy A8S. A few days ago a leak was linked to the display of this phone, which revealed that the Galaxy A8S would be given an 'O' shaped knot. The tech market is hot with a discussion of the Galaxy A8S once again. A new leak has been revealed about this phone, with the design and display of the Galaxy A8S, with details of its specifications. This new leak to the Samsung Galaxy A8S has also been confirmed that Samsung's phone is equipped with a 'O' shaped Knouch. The phone will be small in the top of the front panel and the selfie camera will be fit in this hole. Significantly, the Nokia A8S, which is launching on the Nokia platform, will not be the only smartphone but the first smartphone of the entire tech market, in which the Nokia phone will be in the middle of the display. According to the leaked, the Galaxy A8S will have 6.39-inch Infinity O fullHD + LCD display. According to the leak, Samsung's phone will be 59.11 x 74.88 x 7.38 mm dimension, and the hole made for the hole will be of 6.7mm. The front panel of this phone will be fully display screen. It has been reported in the leaked that Samsung will introduce its phone to the latest Android version, which will run on the Qualcomm Snapdragon 710 chipset. The Samsung Galaxy A8S can be launched with 6 GB RAM. According to the leak, this phone will have 128GB of internal storage, which can be extended through the card. According to the leak, Samsung's phone will be a triple-rear camera. 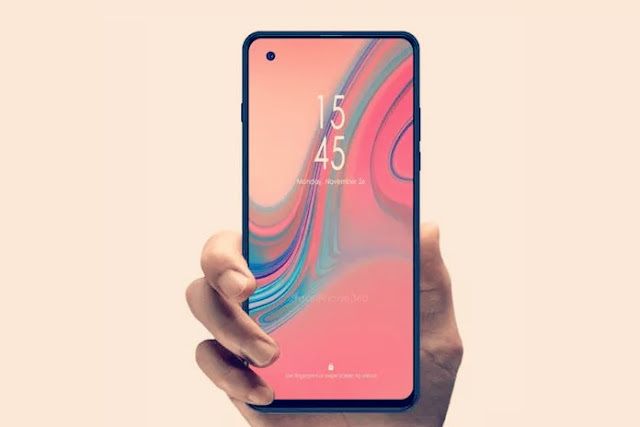 The 24-megapixel primary camera sensor with 5-megapixel and 10-megapixel camera sensors will also be provided with flashlight on the back panel of the phone. At the same time, the phone has been called a 24-megapixel front camera for selfie. The Galaxy A8S can be launched by Samsung at 3,400 mAh battery. Samsung has already announced the creation and display of the Galaxy A8S. But how long will this phone step in the market and its exact specification is waiting for the company's next announcement. At the same time, it is also believed that the Samsung company will present the Galaxy A8S smartphone on the 10th anniversary of its Galaxy series along with the Galaxy S10, on the Tech platform.